Fundraising is at a crossroads. We are constantly in search of the next ice bucket challenge, and yet the industry remains hostage to old schools of thought. Why? Because they work. Direct mail continues to drive organization revenue, and an alternative to face-to-face major gift fundraising with a similar ROI is hard to imagine. For all the stories of organizations empowering communities, there are many more of charities behaving badly and lacking innovation. “He’s the hero we need but not the one we deserve.” Commissioner James Gordon delivered this line in one of the closing scenes of “The Dark Knight”. He was speaking about Gotham’s need for a public defender; someone willing to sacrifice everything to bring Gotham back to the glory it once held. Gotham had descended into a city of ill repute, where criminals, the mob, and super villains terrorized citizens. The city and its public offices were filled with corruption, and the atmosphere degraded the sense of trust the city had in itself, and in the relationships between its citizens. Batman was born from the need to battle the fear plaguing the city and its citizens. During the day, he strengthened the city from his position at Wayne Enterprises, donating millions in corporate and personal finances to address the root causes of Gotham’s degradation. Gotham got its first taste of light in years, and Batman’s actions emboldened its citizens to start standing up to crime and corruption. Batman was an innovation of necessity; a sign things had deteriorated so deeply a masked vigilante was required. But things didn’t start out this way in Gotham; it was a slow descent into darkness… much like donation rates in Canada. Our sector is filled with wonderful, passionate people, going above and beyond in pursuit of philanthropy. They are the silent warriors doing what they have to in order to establish their careers, whether it’s volunteering their way into contracts, accepting positions with a long commute, or giving themselves completely to the causes they support. Yet some of these individuals, the ones with the passion to change the course of an organization, are left on the outside. Because they are less qualified? No. It’s because they think differently. These passionate people are ready to use new ideas that build upon best practice in order to innovate! And it is those who bring forward these new ideas that lead the development of best practice. They do it behind the scenes and out of the public spotlight. They change the culture gradually. They don’t expect recognition because they are excited about the process. 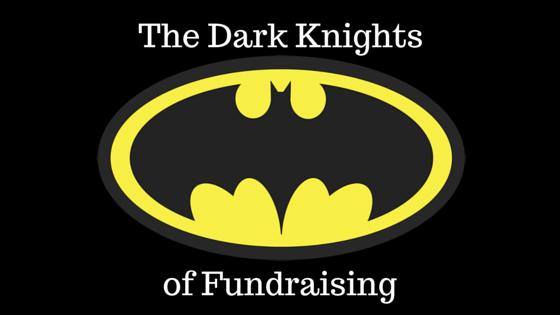 They are the Dark Knights of Fundraising. What does a Fundraising Dark Knight look like? They are not afraid to look like the villain. Innovation will always be challenged because people are afraid of change. Dark Knights stand up against the status quo and take the unpopular stance so they can affect change and drive their organization forward. They know it’s darkest before the dawn. Change comes with fear, doubt, and uncertainty. The best businesses embrace the darkness because although the future is uncertain and mistakes will be made, those organizations that lead into the void will find the light faster and brighter than those afraid to take the first step. They utilize their entire utility belt. Batman’s utility belt is more than batarangs and smoke bombs. It’s full of tools so Batman can be prepared for any situation. Similarly, organizations should use everything in their utility belts to strengthen operations, whether it’s through interdepartmental collaboration, maximizing the potential of their database, or telling stories of the lives changed because of their work. They have close-knit allies. Even Batman needed help, whether it was Jim Gordon, Catwoman, Robin, or ordinary citizens. Batman, even when painted as the villain, still developed a passionate base of support willing to defend his reputation – and support Gotham with him. They are early adopters. Batman found a new piece of technology, used it, and through use, innovated. Solutions are found through trial and error not repeated use. Batman experienced, then adapted to fit his needs. Let’s not let best practice become that villain. We could all use a little more Batman in our fundraising. 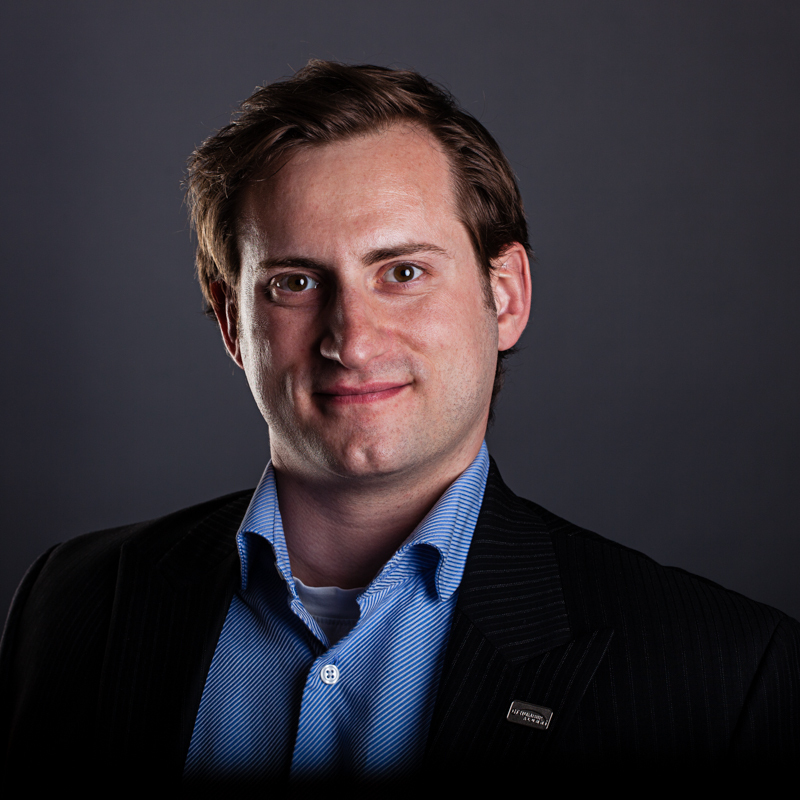 JJ is the consummate volunteer and a passionate community builder. Click here to read more about him.